I’ve heard it said that Appalachian people started moving to the mountains to find solitude and freedom. I try to put myself in the place of those early pioneers, many of which were Scots-Irish, brought to the new world as indentured servants. I try to think of what their choices were after being victims of classism, sentenced to lives of deplorable living conditions and near starvation in a new world. How desperate were they to chance life to the unknowns of a deep wilderness? Our ancestors craved freedom from their oppression so deeply that they took the chance. I do not pretend to romanticize this past. There were times in which terrible circumstances tore from those settlers every shred of happiness they could muster. On more the one occasion, justice was cruelly served when passion struck hearts overpowered basic logic. Yet, I do not believe they lived in utter destitution and misery, for if they did, they would have made different choices. The choice to flee to the mountains was only one decision. The next came with our forefather’s choices to continue living in the mountains, deepening the definition of our people, furthering the Appalachian identity. It was not a prison for our ancestors. 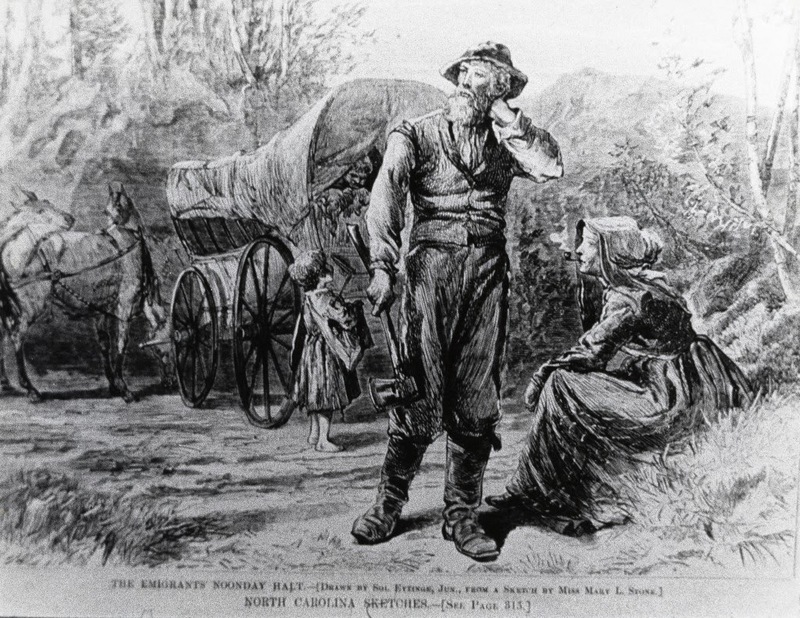 Nothing prevented them from moving back to the cities and farmlands they fled from in the east, or from venturing further west with the nation’s expansion. The people of the Appalachian Mountains stayed, choosing to continue their simplistic lives together; forging the underlying familial values and sense of generosity that defines the region—even after war and industrialization brought greed and violence back into the hearts of many. The scarcity of land and political motives divided people. Company script and paychecks began replacing gardens. Even then people still tried to stick together as society forced them apart. The labor movements were born in the mountains, born from those people still fighting for freedom. Egoism is the means by which many search for false happiness these days, each relinquishing themselves to the will of the economy. The society our ancestors fled from three and four hundred years ago has infiltrated every hollow, every ridgeline, every creek. Television streamed in a new consciousness and replaced evenings spent on front porches or sitting around the kitchen table with neighbors. The kindness of people has turned to hardness against their neighbors as they search for self in the torrents of outside judgment; hoping paychecks and more things will narrow their comparison to the rest of the nation. Life has become hard for those of us who still cling to the old ways. We were taught that someone’s worth should be based on their generosity while it seems the rest of the world is taught to base their worth on money. Our happiness is being robbed by the ill will of others, by selfishness, by the callousness taught to children in a world of “take what you can get.” And still we cling to those old ways, we hold onto that glimmer of hope that people’s hearts will soften, that people will not think in terms of what they can do for themselves, but what they can do for others. Though it is easy to take the hurt we so often feel and lash out with equal venom, we instead choose to transform it into a deeper sense of love—a means of cherishing who we are and where we come from.